I am not one to just make something out of the box without tinkering with it. I’m sort of like a dog, I want to make my mark, make it my own. I love the convenience of those little boxes of the Jiffy corn muffin mix but it’s fun to add a little pizzazz. This recipe takes a plain old-fashioned corn muffin and gives it a little extra oomph. I add some corn kernels, pepper jack cheese, and a handful of green onions. This gives them a nice texture with the bits of corn, a nice little bite, and the cheese is like a gooey surprise in the middle. The kids will flip over these! Note: If you are concerned about the spice of pepper jack cheese just use regular jack. Prepare corn muffin mix per package instructions. Stir in cheese, corn, and green onions. Prepare muffin pan with liner cups and evenly distribute the muffin mix in each cup filling up about 2/3 of the way. Bake for 18–20 minutes or until a toothpick comes out clean when inserted into the middle. Remove from oven and allow to cool for a couple of minutes before serving. 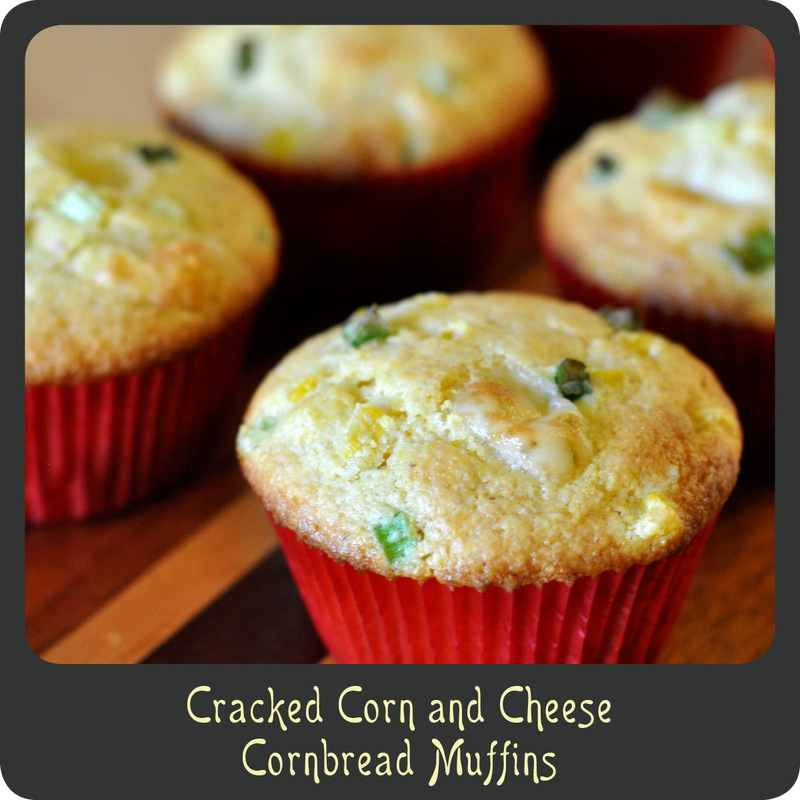 Love this idea for corn muffins? Then perhaps you will like these! I love to garden! I don’t have much of a garden, but every summer I grow my own tomatoes, herbs, and peppers. There is nothing better than walking out your back door and picking fresh vine ripened tomatoes for your salad or some aromatic rosemary to go with your grilled pork chops. I recently read an article on reusing and growing food. I was shocked at what I read about green onions and I would love to share my findings with you. 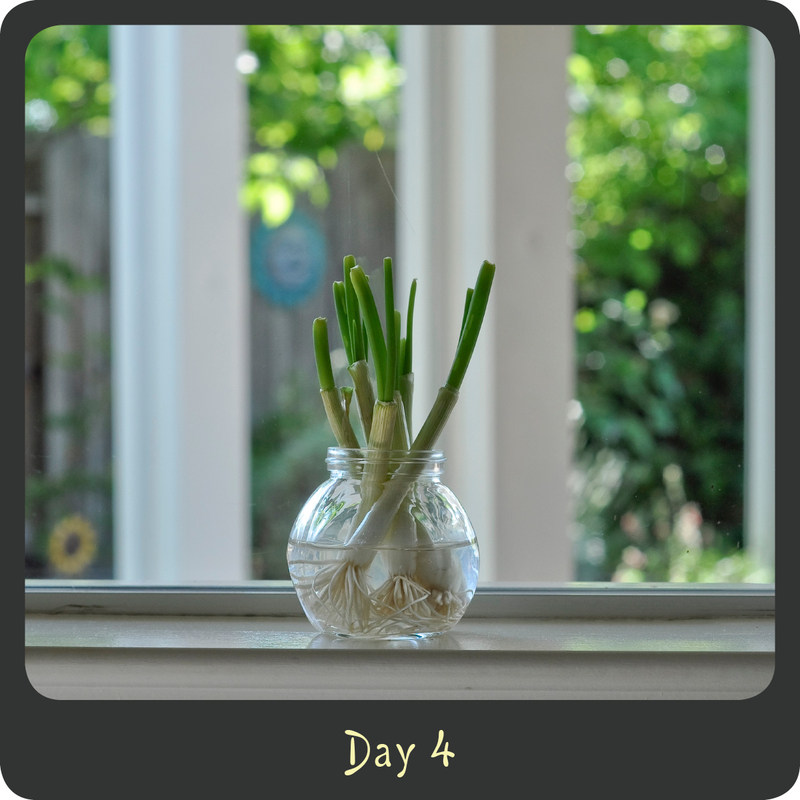 How many times have you chopped up your green onions and just tossed aside the leftover white bulbs? After reading this and seeing pics you will never do it again. A bundle of green onions can cost a couple of dollars. If you do this trick, one of those bundles can last you a very long time. And it is so easy! Just take those leftover white ends, roots and all, and drop them in a cup of water with the tops sticking out. Place in a sunny window and within 10 days, yes 10 days, they will grow right back to their full size. I will admit, I was amazed! I saw growth within 1 day! 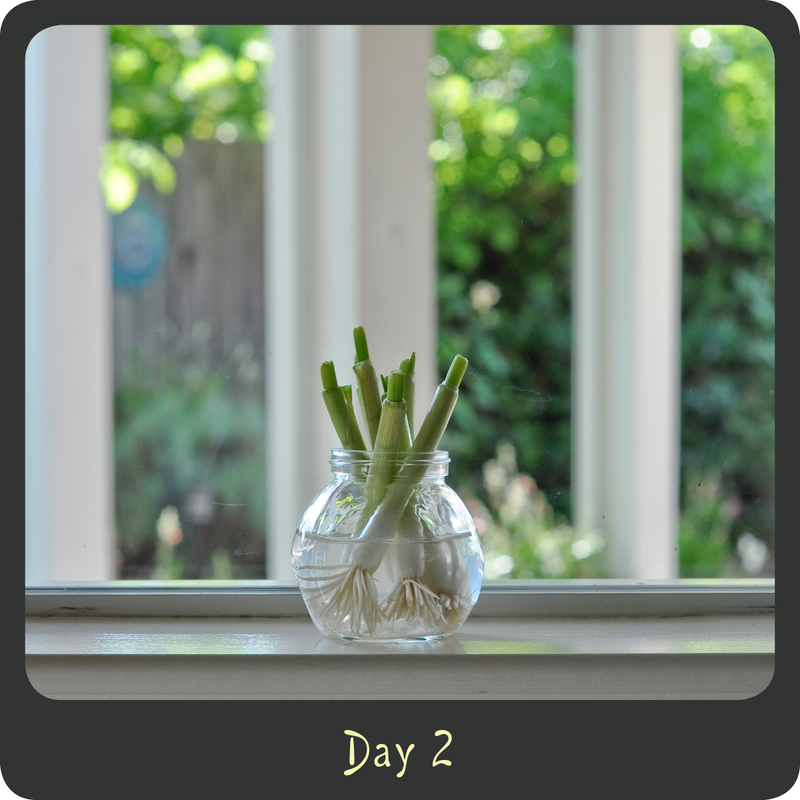 Next time you need green onions you take them out cut away and drop the bulb right back in the water to regrow again. Just be sure to change out the water on a regular basis so it remains clear and clean. You can also plant your bulbs in soil and just cut them, as you need them. Make sure to keep your soil really moist. While green onions may not be something I cook with on a regular basis I can guarantee you I will be using them much more often now. Dice them up and toss in a green salad, on top of a bowl of soup, mixed in with your scrambled eggs, add them to your favorite mexican dish, top your baked potato with them, or mix them with butter and garlic for some tasty garlic bread. 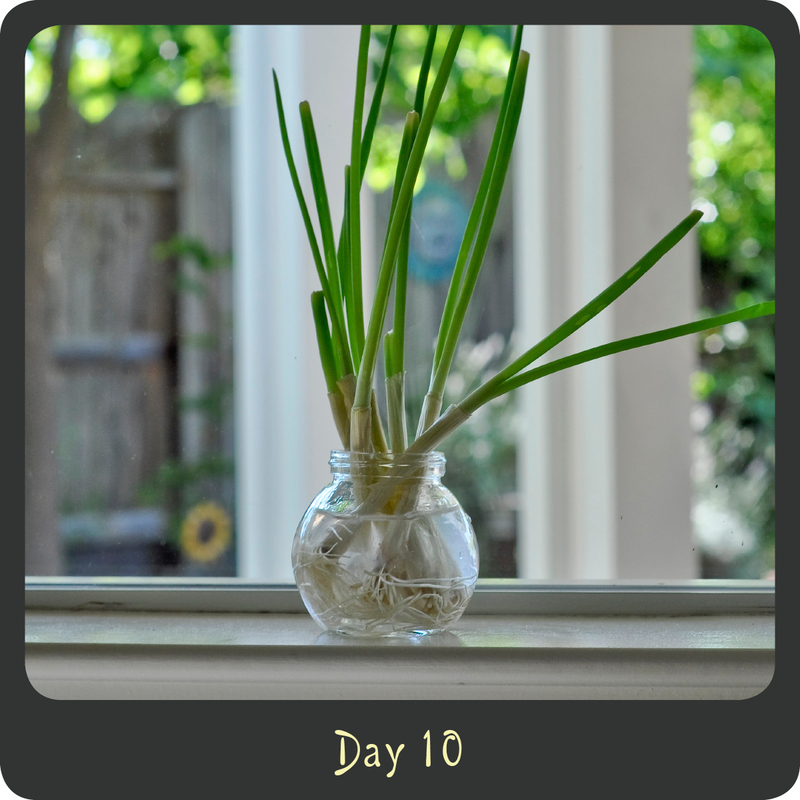 You can even dry green onions and add them to your collection of seasonings. They are a quick and easy way to add some flavor to almost any dish. The possibilities are endless and with green onions always at your fingertips.